Early in 1996, Street Machine magazine broke the news: Ex-world bike champ (1987) and then celebrated V8 Supercar race driver Wayne Gardner was planning a range of Wayne Gardner Racing (WGR) appearance and performance accessories for late-model Commodores. It made perfect sense. 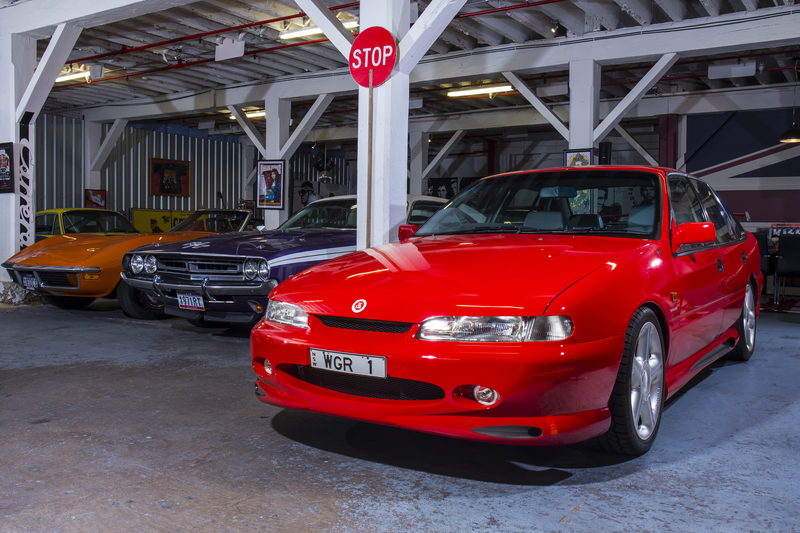 Selling upgrades to a bloke with a late-model Commodore V8 was something Wayne Gardner – who described himself as ‘simply a street-smart kid from Wollongong’ – was very keen to do. 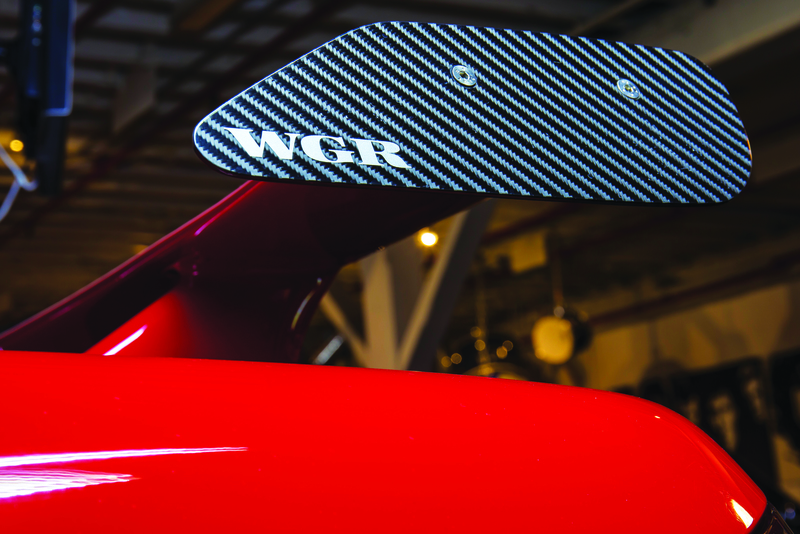 "I see a lot of room for something like this," Wayne told Street Machine in the article featuring his bright-red WGR Commodore Group A S1 demo car. Dressed in the fashionably-90s cool chambray shirt and twine-coloured baggy trousers, Wayne is beaming in the pics. As Wayne explained, the idea was to build what the customer wanted based on individual packages of wheels, tyres and suspension, body stying and interior enhancements. 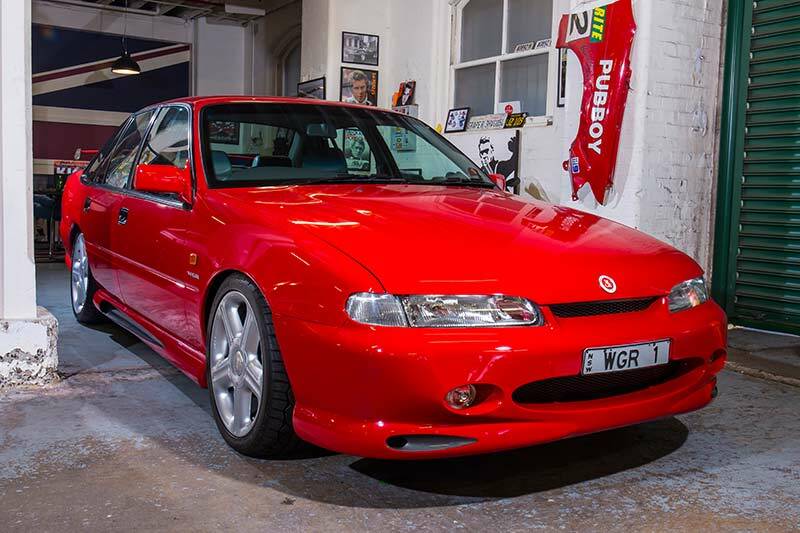 People would take their cars to WGR in Sydney’s west, tick the boxes for what they wanted, and the same blokes who spun the spanners on the bright red, Coca-Cola sponsored WGR Commodore race cars would upgrade the customers’ road Commodores. It was traditional speed-shop with a credible corporate touch; in many ways, the WGR Road Cars division was to echo the efforts of another racer, Peter Brock, who 15 years before had a similar race/road relationship with his General Motors Holden-supported Holden Dealer Team (HDT) road cars. 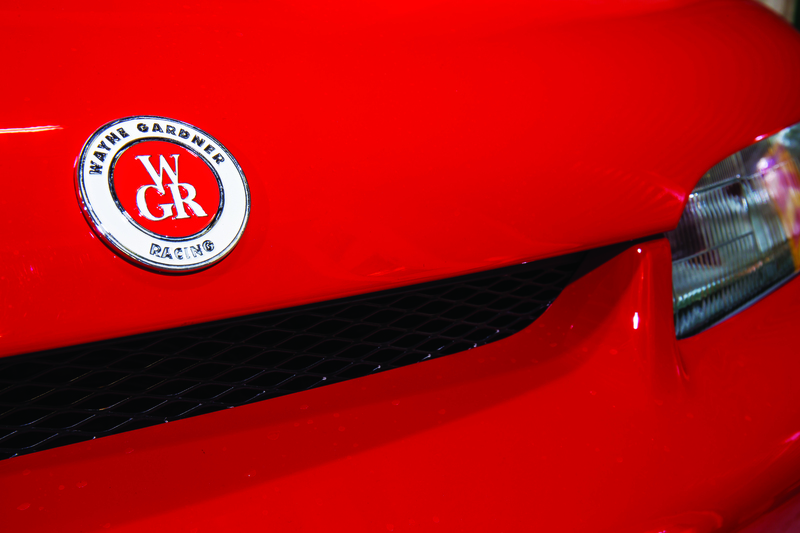 Later Gardner’s idea evolved to building brand-new WGR cars. At the time, Alan Heaphy was the team manager for WGR. A career motorsport manager, he’d recently returned from the UK where he’d run Nissan’s motorsport division. Immediately prior to that, Alan was involved with Nissan Australia’s (Fred Gibson) motorsport division – he was the boss during the controversial era when Mark Skaife and Jim Richards raced GTRs and dominated Australian Touring Car racing. "I set him up [Gardner] in Sydney," says Heaphy, who is again at Gibson Motorsport, again looking after those same Nissans now they’re heritage racers. "I’ve always been a lover of enhancing vehicles for road use. 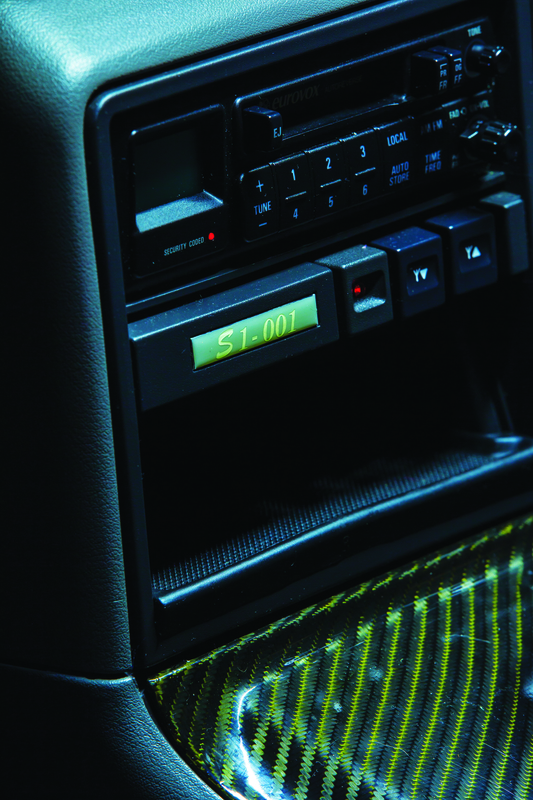 We decided to put together a package based on the five-speed manual V8 Commodores. 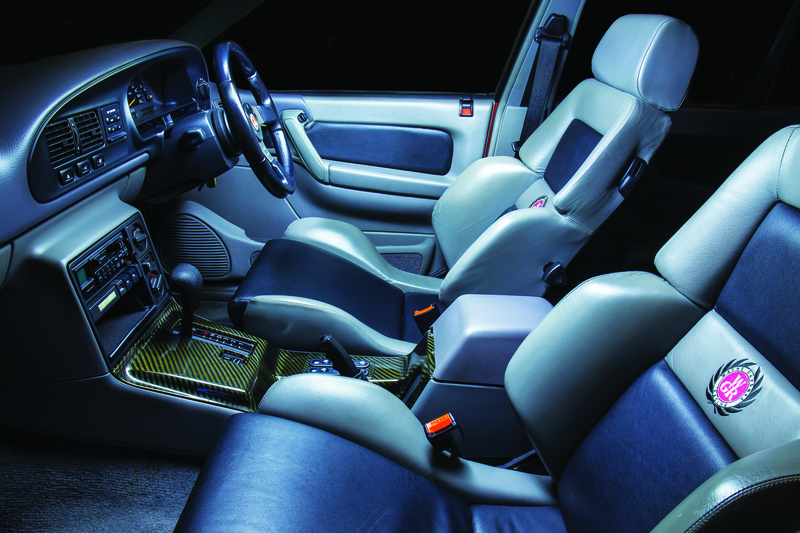 We had a good body-kit manufacturer [Talon] and Bob Roman [of Recaro seating and Roman Auto-Tek fame] was doing the interior stuff for us. "We decided to do three models – the S1, S2 and S3. The S3 was the entry-level – it was a few mods, nothing too fancy – and the S2 was a little up the road. The S1 was the top of the range, the gun thing! "The first car we built was really an HSV Clubsport," reveals Heaphy. "It was actually [WGR team driver Neil] Crompton’s car! We took it and used it as the [basis of the] first car. That was the first; after that we got cars through the Holden dealers, most of them through Suttons [a big Sydney Holden dealer], and we made the modifications to them from there. We had agents in each state and in New Zealand." This bright red WGR Commodore Group A S1 is a fine example of what Wayne Gardner, Alan Heaphy, Matt Cousins and the WGR crew were trying to achieve. 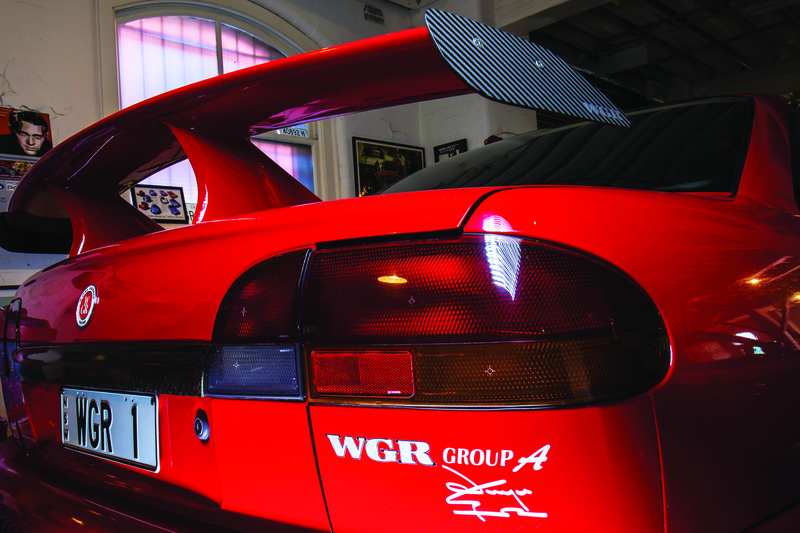 This was the car used in the WGR Road Cars Division marketing – such as the WGR brochures and the original Street Machine article – and was owned by a Sydney enthusiast and car collector, Mark. "I’ve had a few cars," says Mark. Modest – one of the reasons he prefers to remain anonymous – but happy to chat, Mark’s career requires he divide his time between Australia and the US which is great for his car-nut hobby. "I’m lucky," he says. 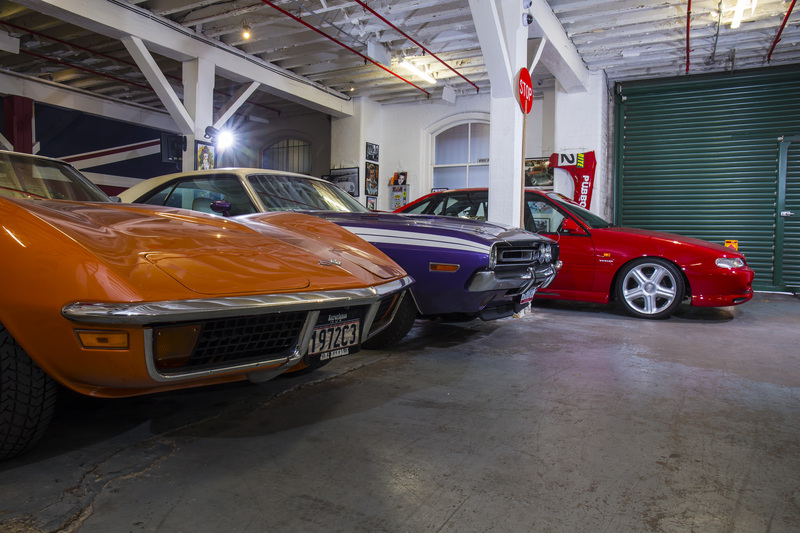 "I made a few bucks and started to seriously collect cars in the mid-90s. I’ve always had a passion for cars. For me, the lines of some of these cars are gorgeous; they remind me of women!" Mark chases – and chooses – cars of a particular calibre. "I’m really only interested in original matching-numbers cars; and by that I mean ones that haven’t been re-done." Restored? Fresh paint? Mark – like many other serious collectors – is simply not interested. "For instance, I have a Porsche 356A. I’ve seen plenty of restored ones but mine – it’s a 1956 model – it’s all-original. It’s cool. It’s Steve McQueen cool." 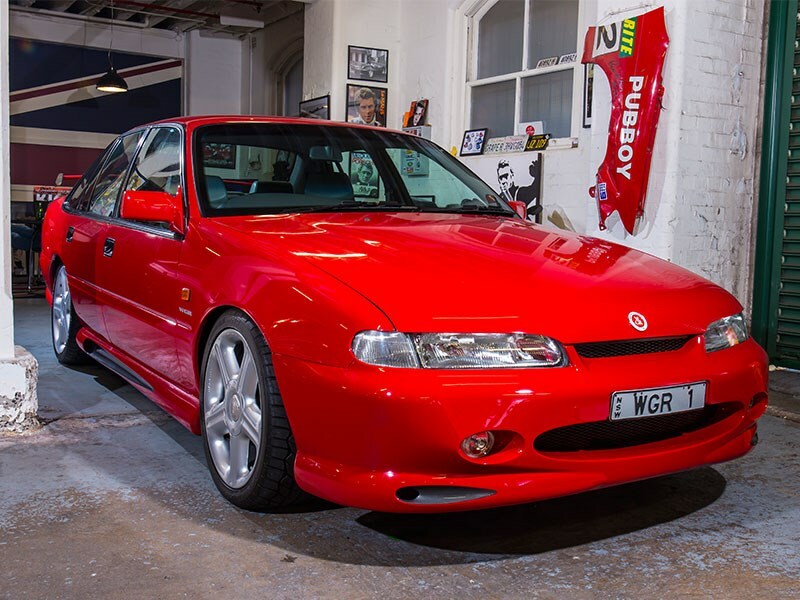 For Mark, the Wayne Gardner Commodore Group A S1 is worthy of collector status. "I found out about it through a contact of mine," says Mark. "He gave me the heads-up on the car: The owner had bought it from Wayne Gardner directly and owned it for nearly 20 years. It’s been in a garage for most of that time: the owner was getting older and realised last time it was registered was 2002. The owner used to drive it to the letterbox and that’s about all. "The amount of paraphernalia and paperwork that came with the car was quite incredible," continues Mark. "Everything! Everything to do with Wayne Gardner... There was even a note from Wayne’s mother: the badges [had been] stolen so the owner got in contact with Wayne; Wayne’s mother sent replacement badges and a note saying something like, ‘Be very careful where you park it – it’s a special car!’"
That’s cute, but this car’s provenance is serious. "They used this red car in every single bit of paraphernalia; on all the brochures and every article. This was Wayne’s personal car – he drove it around a lot," says Mark. "You know what? This was a bloody good idea." Yes, the WGR Road Car Division was a great idea with enormous potential. But unfortunately many great ideas with enormous potential simply don’t work out… And so it was with the WGR project after just a handful of cars – probably 33. According to Alan Heaphy, it died for a variety of reasons, not just the one that some observers and stakeholders – including some of us in the motoring media – heard the rumours of: pressure from HSV. "At the end of the day, we sat down and I said, ‘It’s not worthwhile doing – it’s not economical, it’s not making business sense," he recalls. "It’s something that we thought might’ve taken off – it was a great idea but we shut it down because it wasn’t making the money we thought it would." Heaphy confirms those rumours, too: This writer recalls whispers at the time of HSV being very pissed off that one of their Clubsports (was it supplied by HSV to Coca-Cola Racing as a company car?) was used as a basis for the WGR car. "Holden couldn’t endorse it officially, but they were happy for us to do it, unofficially, and would support us the best way they could," Heaphy reckons. "But we had major dramas, with legal letters and all sorts of things, from HSV, from their management at that stage…"
Nasty letters? "Oh absolutely," he says. 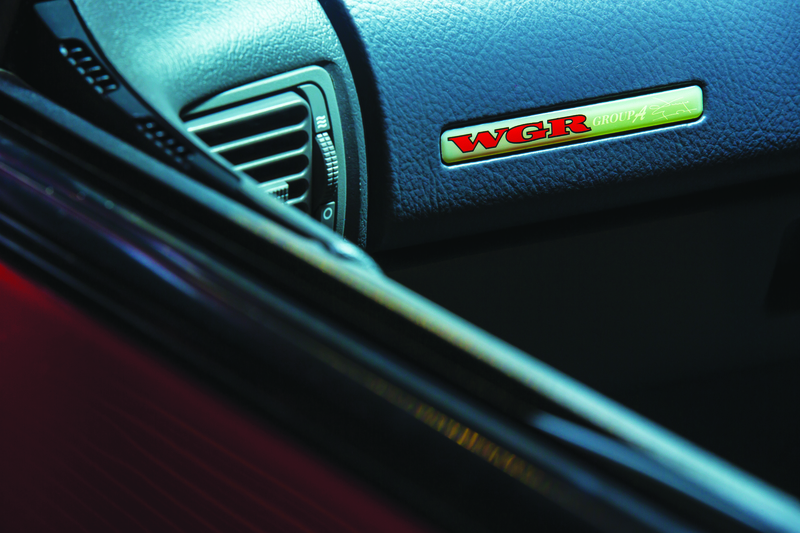 Even without the alleged HSV dummy-spit, there were other factors at play, too: By mid-1997, Holden’s all-new VT Commodore was just around the corner; scoop shots of the new VT series Commodore appeared in the very same issue of MOTOR that featured the WGR high-performance development vehicle and Wayne Gardner on the cover – more of that in a minute. "We ran out of the model; we couldn’t get the manual V8 anymore," says Heaphy. "Holden had changed [models] – the VS was gone [replaced by the VT] and it was going to be a costly exercise to revamp." But Heaphy’s memories of the WGR Road Car project are book-ended by a special car. "The last one we did was a bit of a hot-rod and a half!" he recalls. "It had a cam and a management system change and suspension and I think it had bigger brakes. "All that sort of stuff – it was a pretty good car…"
What Heaphy is referring to was a black WGR Commodore Group A S1 fitted with a prototype high-output engine being developed as an option. All the pieces and personnel were in place to build this engine – a blend of contracted expertise and the WGR team mechanics – and after considerable development time, the modified 5.0-litre V8 engine was in the final stages of tuning. Motorsport engineer Ed Vieusseux was one of the key players in the top-shelf WGR engine’s development. He specialised in EFI management tuning and his background in Holden engine tuning was through his EVR Motorsports consultancy being a provider to Crow Cams; with Crow he’d developed a series of staged upgrades of cam and exhaust hardware, and injection/engine management system tweaks (modified chips or mem-cals) for Holden’s injected 3.8-litre V6s and 5.0-litre VN and VP V8s that by the mid-1990s, had become an especially popular second-hand performance bargain. Vieusseux fondly remembers the bold ambitions of the WGR Road Car project. "We hatched a plan… this was the time that HSV had just launched its [5.7-litre] stroker. I said ‘why don’t we do a really high-end, roller-cam five-litre?’ and that’s when Wayne Smith came on board. "Lansvale’s 5.0-litre Holden V8 Supercar engines [the Sydney-based Lansvale Smash team, for whom Smith built engines] had top horsepower and were strong and reliable – they always finished Bathurst," continues Vieusseux. "I spent many hours at the dyno tuning those Lansvale Holden race engines alongside Smithy. His race engines were easy to tune, very tractable, so I knew he would be the right man for the WGR Road Car project." Reading between the lines, Vieusseux was probably looking for an opportunity for Smith to eventually build WGR’s V8 Supercar engines, too. Smith assembled the WGR prototype engine during the first half of 1997. Retaining rather than replacing the standard 5.0-litre crank and rods reduced parts redundancy and kept the costs down (it was all, of course, balanced) but using a roller cam – more expensive than Holden and HSV’s flat-tappet cams - and as Vieusseux relates, combined with headwork knowledge from the Supercar race engines opened up new possibilities for a tractable, powerful and legal performance road car engine. "A roller... There’s so much more lift available to you," explains Vieusseux. "Having said that, we didn’t go crazy with the cam; it wasn’t a big cam. It was designed to be quick but driveable." There were other new technologies available at the time, too, all of which made the WGR Road Car crew’s performance ambitions possible. "At the time ACL, the piston people, were developing a forged flat-top piston for the Holden engine; it hadn’t been released yet so Wayne used [prototype] components. This development engine was, I think, the first engine in Australia to use those. Real top quality stuff. "It was a killer," continues Vieusseux with obvious pride. "To be honest the dyno numbers weren’t big. We made the equivalent of a really good stroker engine – a 5.7 or 5.8 – where people had done the right stuff; not buggered up the porting. We knew some people who had put some nice strokers together and we did the calibrations for Crow; the really good ones made 245 to 250 horses at the rear wheels. That’s a good number. That’s 250kW [flywheel]. 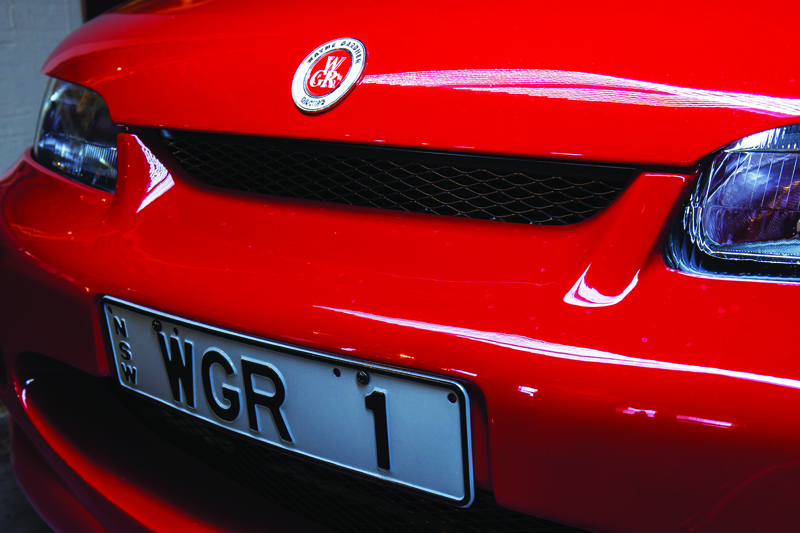 "Ours [the WGR prototype] made 254 on an early calibration with a really nice power curve from a five-litre. And it kept on with it for a while; the real beauty in it was just how hard it spun up; how quick and smooth it was in the mid-range. It was essentially built like a race engine for the street. It was a genuine 250 kilowatts, but its engine acceleration [mid-range] was just incredible. 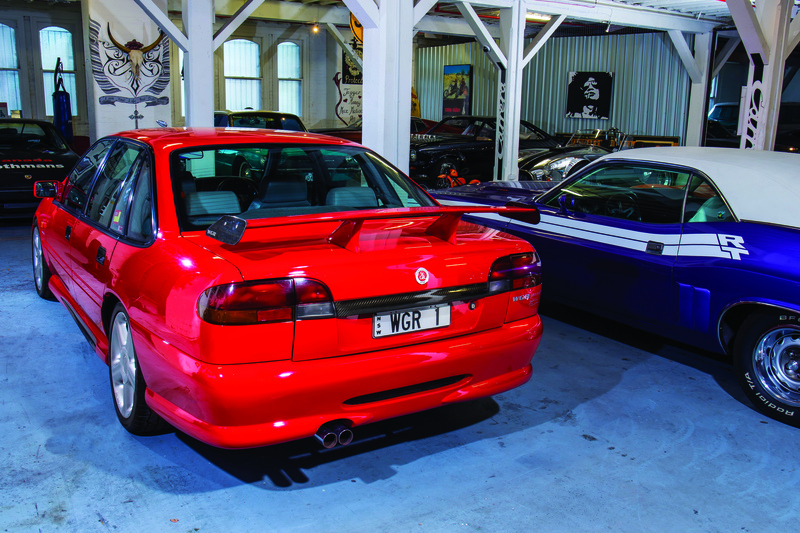 And it was so sweet – it was just the complete opposite to the 5.7-litre HSV stroker which had a nice lot of torque… But that just didn’t have that zing…"
While working for Street Machine and one year after we broke the news on WGR’s road car ambitions, I was lucky enough to get a taste of the new engine. Also along for the preview of WGR’s new engine was MOTOR magazine’s John Carey. 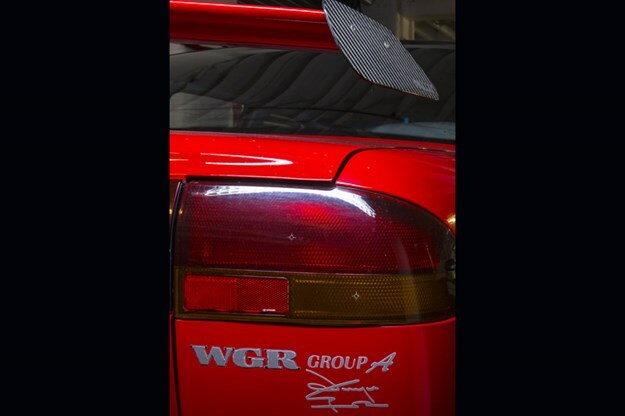 It was installed in a black WGR Group A S1 sedan. Vieusseux’s claims today certainly match my recollections from then: this was a quick car. My most enduring memory was of thinking how Holden’s standard gearbox – at the time, a Borg Warner/BTR T5 five-speed – was to survive: with four blokes on board (I was in the passenger rear, behind Carey) the mid-range twist this thing had was far more urgent than any 5.7-litre stroker. Plans were to use a Tremec six-speed gearbox to upgrade durability and keep the engine on the boil – a lower 3.45 diff was already in place – but for development duties, the standard Holden box was retained. The engine ran crisp and clean to beyond 6000rpm. Maximum power arrived at 5500rpm, just 300rpm higher than the standard 165kW Holden making the power accessible for a performance street car. However, there was still work to be done on the idle and low-speed driveability areas of tune. 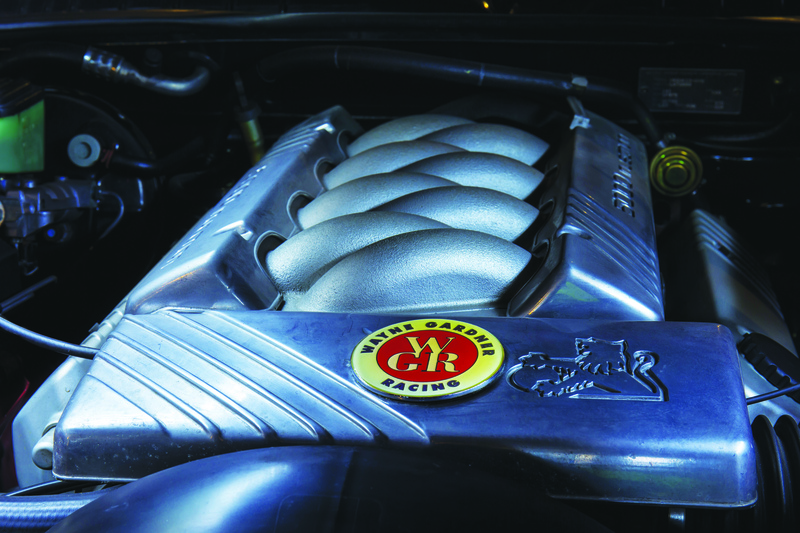 Before being installed in the car, several cam profiles had been evaluated and test-tuned to tame an airflow pulse characteristic in the Holden bunch of bananas intake manifold. The standard manifold was an obstacle… However Vieusseux had already sketched a twin-throttle manifold for even better breathing and ultimately more power. After our probably-not-quite-legal blast through the back streets of Sydney’s North Parramatta – and with the tuning yet to be smoothed – Carey borrowed and drove the car to assess on a spirited drive through Sydney’s Royal National Park, and photograph for a MOTOR magazine cover story. He came away impressed. 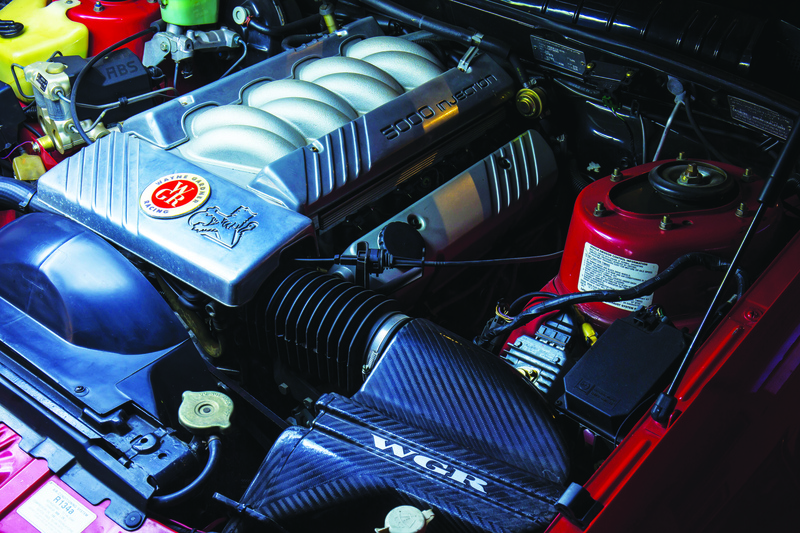 "I thought I was tired of driving – and writing about – hot 5.0-litre Commodores," wrote Carey in the June 1997 issue of MOTOR. "During the past six or seven years I’ve driven most Holden Special Vehicles products, often before they were released… I’ve never met a kilowatt I didn’t like and believe me, Wayne Gardner Racing’s new 5.0-litre is very likeable. "More likeable even than HSV’s 5.7." 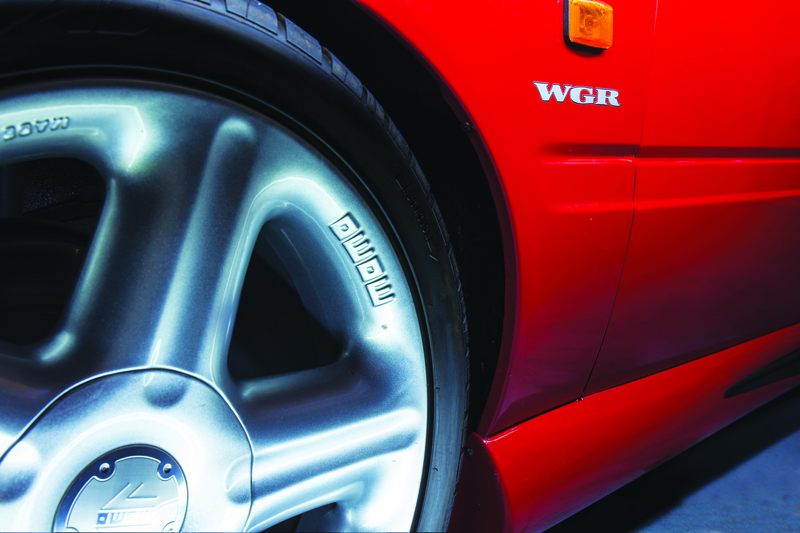 Carey also praised the WGR car’s well-sorted suspension and brakes – lowered nicely over its MOMOs, up front this black car had 330mm cross-drilled rotors and no-nonsense AP Racing calipers – and the Recaro-equipped interior with subtle, classy chequered trim. With Carey’s long experience with new-car assessment, his opinion of the prototype street-stormer engine was a great validation of the WGR engine team’s efforts. It was also terrific publicity for a genuine attempt at building a bespoke, high-calibre, high-performance Australian road car. Of course, Carey made the inevitable comparison HSV’s 215kW 5.7-litre V8. Launched three years before in the VR series, the 5.7-litre stroker motor was standard in GTS and optional in Senator and Grange. It produced 215kW at 4800 revs. Carey wasn’t the only one to make this obvious comparison between the then Aussie performance benchmark and what the ‘street-smart kid from Wollongong’ was doing. "We [Crow and Vieusseux’s EVR Motorsport] had been producing cam kits and such-like that showed much better power delivery and performance than what HSV had put together," continues Vieusseux. "This incarnation [the WGR development 5.0] with the roller cam really rocked their socks. I reckon it was really top stuff from an aftermarket operation. Holden who I think at the time provided some of the backing for his Coca-Cola race team. "That engine project died after that cover on MOTOR…"